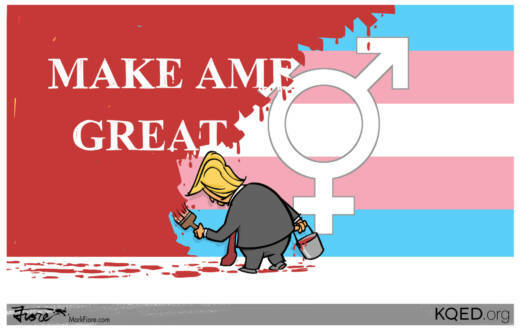 Alarmed at the Trump administration's possible move to narrowly define gender, State Sen. Scott Wiener (D-San Francisco) said, "the Trump administration is trying to erase transgender people out of existence." Wiener also referred to "the Administration's effort to erase LGBT people from health surveys and the census." In 2017 the departments of Justice and Education reversed Obama-era protections for transgender students who use bathrooms that match their gender identities.